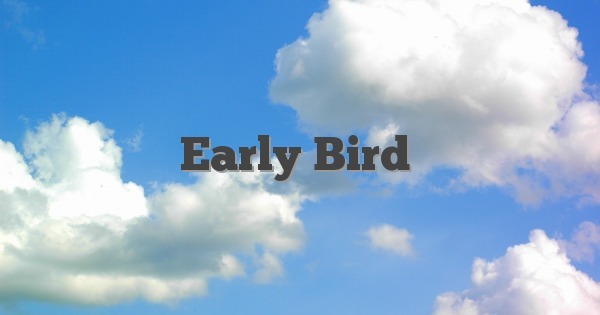 What does the idiom “early bird” mean? Someone who does something prior to the usual time, or someone who gets up early. “The early bird catches the worm” (proverb, meaning people who are very prompt reap rewards).